Paul Raphael Meltsner was born in New York City in 1905. A native New Yorker Mr. Meltsner attended Flushing High School and graduated in 1922. He became closely associated with the WPA, enjoying the support given artists during the Great Depression and in 1938 a New York City gallery offered him a one-man exhibition. 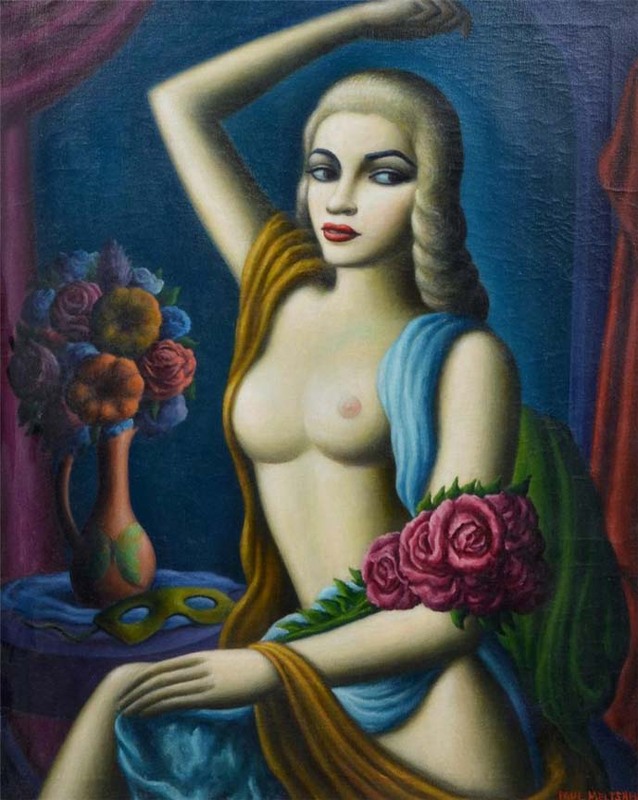 Mr. Meltsner is well known for his his industrial scenes depicting urban scenes and in the mid 1930's he expanded his genre and began to paint portraits of actors and performers including Carmen Miranda, Lynn Fontanne, Martha Graham, Dorothy Stickney and Gertrude Lawrence. His work is included in major museum collections across the country including The National Portrait Gallery, Smithsonian Institution, Washington D.C.; The Museum of Modern Art, New York and The Whitney Museum of American Art, New York. His work was also exhibited at the Pennsylvania Academy of Fine Arts and the Art Institute of Chicago. Mr. Meltsner died in 1966. Compiled and submitted December 2004 by Heather Karlie Boyce, Fine Art Professional of New York City. Paul Meltsner left his downtown New York studio to get away from the "tensions" of the city and moved to Woodstock, New York. There in his backwoods barn-studio he lived without a phone and a car. A single painting of Meltsner's- a portrait of Albert Einstein-caused a million dollars' worth of war bonds to be sold in 1943 in Hollywood. A group of his paintings were auctioned off for $3 million worth of bonds during the drive. In 1957, the largest price ever paid for a Meltsner painting was the one for the Einstein portrait, the smallest was for Paul's first sale, made when he was eight years old. The buyer was the government of Palestine and the price was $25. The artist explains, "I honestly don't remember what the picture was, though I think it was a drawing of books or something." "Much of Meltsner's earlier life was mixed with theatre and backstage life. His drawings of on-stage activities have been featured in the New York press. His theatrical studies of the key personalities brought him into contact with their producers and directors while his results brought him friendships with the drama and art critics. All have been lavish with their praise- and their purses (Gilbert)."